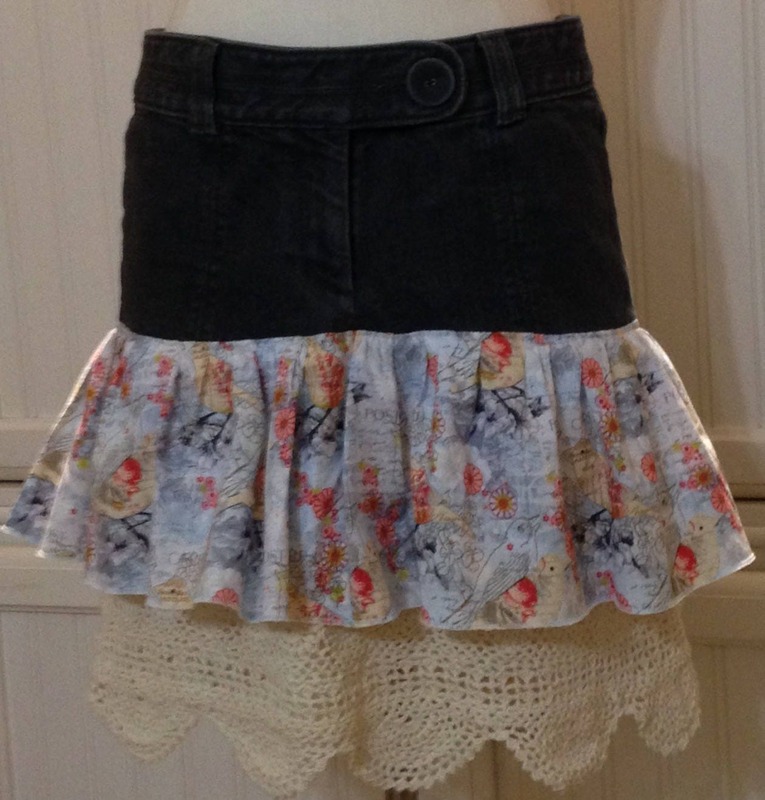 This black denim ruffled lace trimmed skirt is made from repurposed denim jeans and a vintage crochet curtain panel. 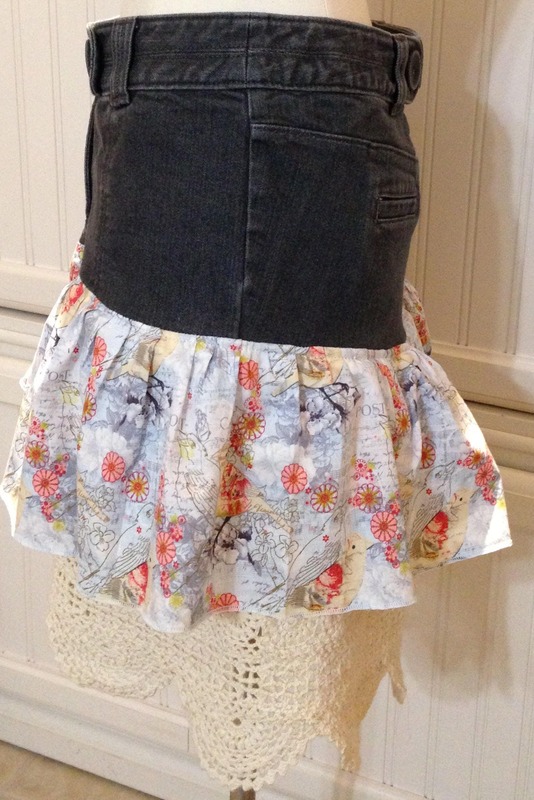 Pair that wonderful fabric with a a quilt quality ruffle and you have a beautiful but practical skirt. This skirt rests on the hips and has a slit up the back for wearing ease. The ruffled cotton is a Paris postal print with cute birds on a cream and blue background. 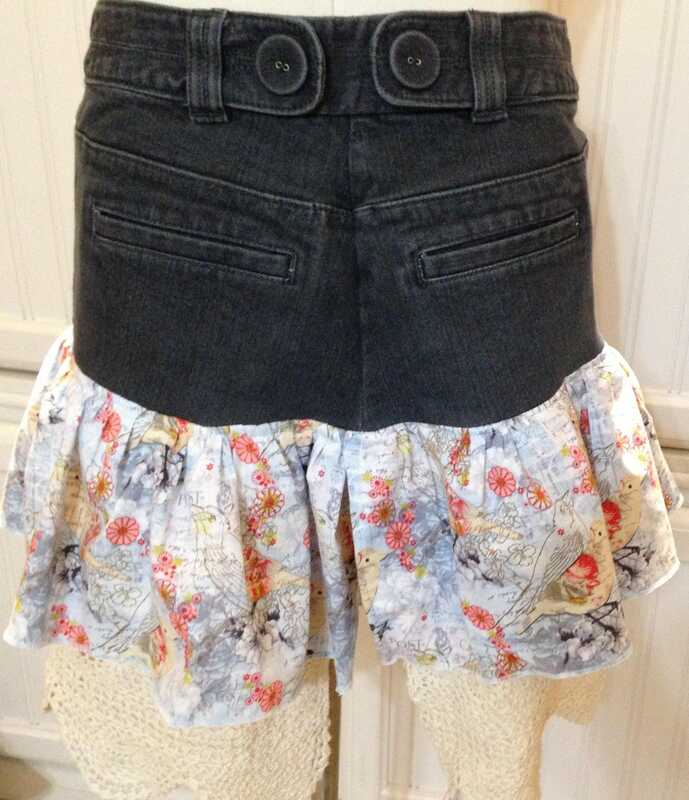 The denim is a washed black almost dark gray and has button tab adjustments. 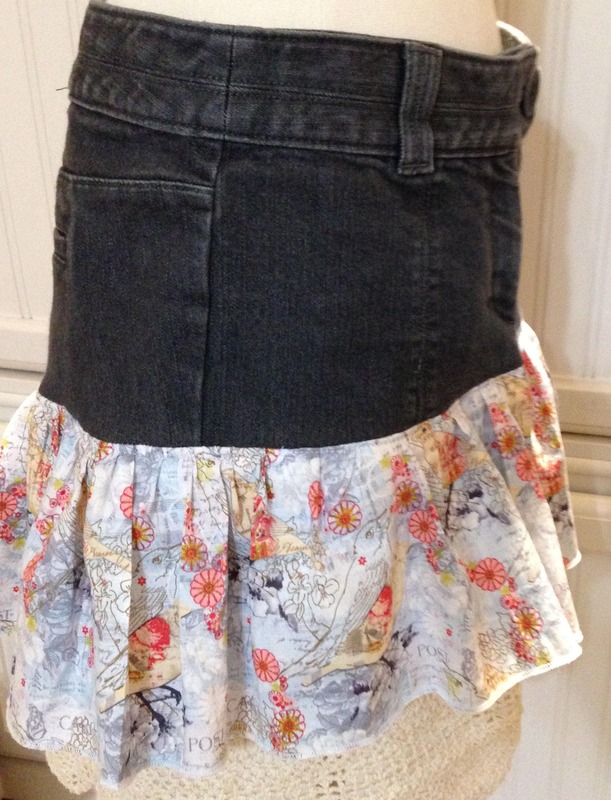 The jean pockets were left in tact so you have a flirty cute skirt with practical pockets. 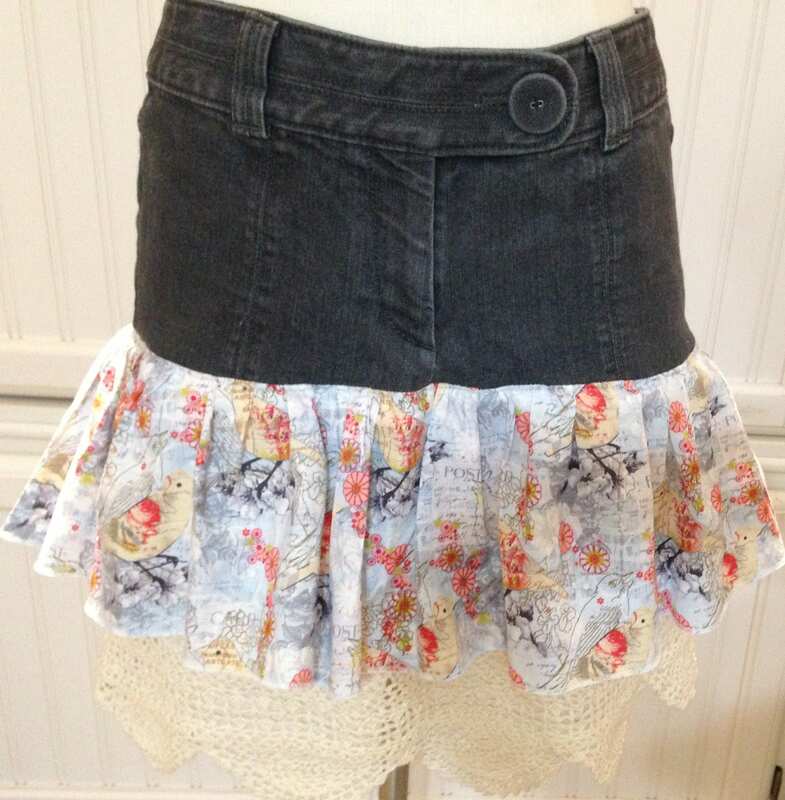 The bottom ruffle is an ecru crochet curtain panel that goes perfectly with the Paris print.